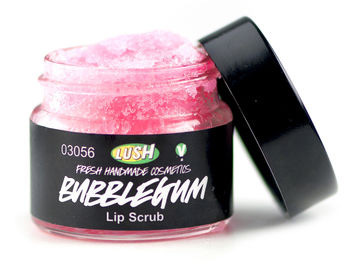 First on my list of ‘Must Haves’ is Lush Cosmetics’ Bubblegum Flavored Sugar Lip Scrub ($9.95). I can’t think of anything that goes better with lips than sugar, and this bubble-yummy candy-flavored delight is the perfect pucker-upper for a holiday kiss. 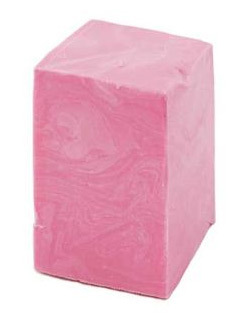 And speaking of candy kisses, Lush Cosmetics’ Vanilla Candy Rock Star Soap ($7.95) is sure to get me an offer to sneak under the mistletoe for a spell. This luscious confection-scented vanilla sudsier will leave you smelling absolutely divine and feeling like the “star of the show”. Next on my list is the Guilty Passions Rose Lip Gloss Collection from MAC ($32.50). It should be a crime for your lips to look this haute, so don’t be surprised if the law comes-a-knocking after wearing one of these fabulous shades. 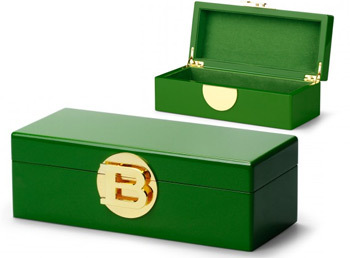 This Monogram Jewelry Box from C. Wonder ($78.00) is perfect for storing my most prized keepsakes and accessories. With its soft velvet lining, 18k gold-plated clasp, and candy-colored lacquer finish, this beauty is simply too hard to resist buying for everyone you know. I’m looking to add a bit of sparkle to the holiday season, and Godiva’s Swarovski Elements Luxury Gift Box ($150.00) will definitely do the trick! 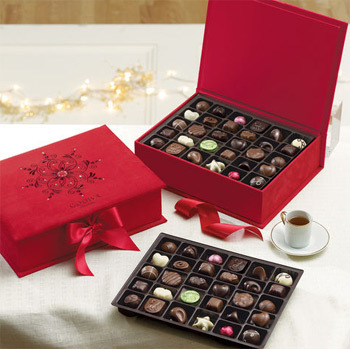 It’s filled with decadent chocolates & truffles that will satisfy any sweet tooth with utter delight. Adorned with Swarovski Elements crystals, this hand-embroidered keepsake gift box adds ‘twinkle’ to the perfect indulgence. 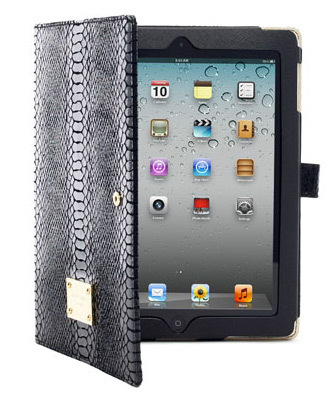 I can show everyone my “tech-savvy“ side with this gorgeous iPad Case from Michael Kors ($158.00). Wrapped in luxurious Saffiano leather with a signature gold Michael Kors heritage badge, this beauty screams tech-chic! 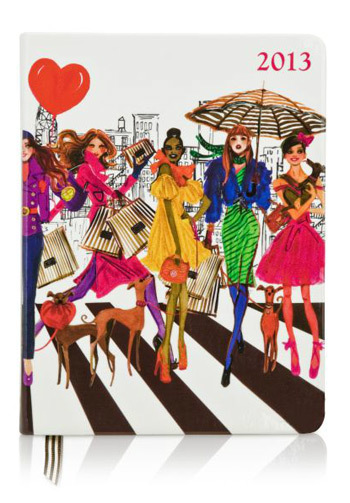 I’m a “Diva on the go”, so Henri Bendel’s 2013 It Girls Desk Diary ($98.00) is the perfect way for me to stay organized. It features a month & week-at-a-view planner, an address book, and travel guide with a map of the world that will come in handy during my visit to Milan. Note for NEXT Xmas: Trip to Milan!!! 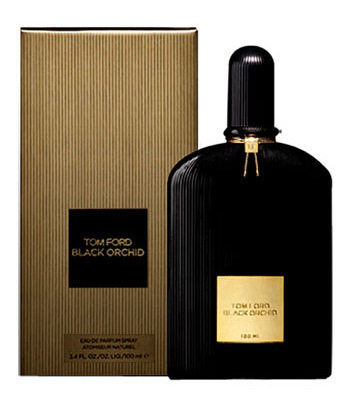 I love, Love, LOVE fragrances, and Tom Ford’s ‘Black Orchid’ Eau de Parfum ($105.00 for 1.7 oz and $150.00 for 3.4 oz) has my heart in a sling. With its rich dark accords and alluring potion of black orchids and spice, this sensual and luxurious fragrance is both timeless and new.